OR... Order by mail in combination with monographs and/or calendars: Order form as pdf (Different shipping rates apply). The coming year's calendar highlights the excellent photography of Jason Hollinger. In addition to the photos, Jason and Nastassja Noell have provided interesting commentary and educational tips on each of the featured species. 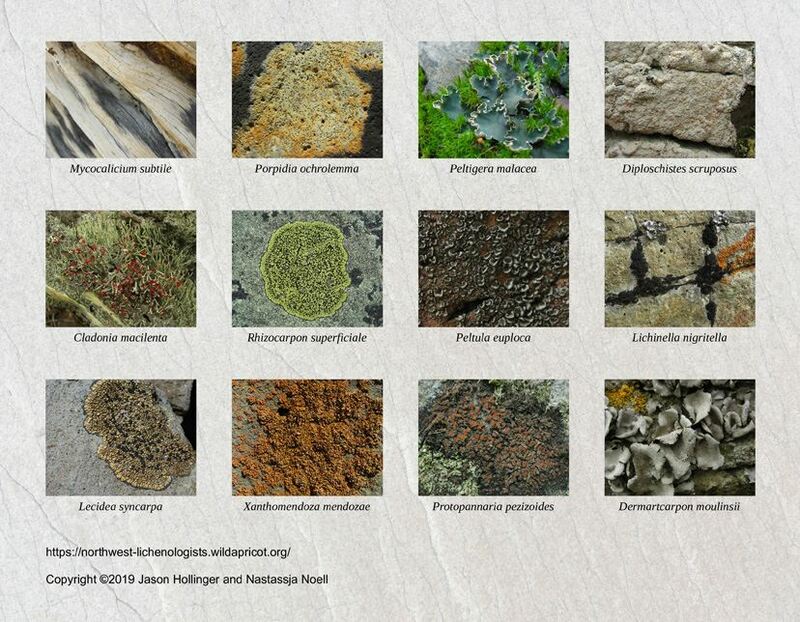 Plus, they have provided mini-biographies for five lichenologists historically important in the development of lichenology in western North America. 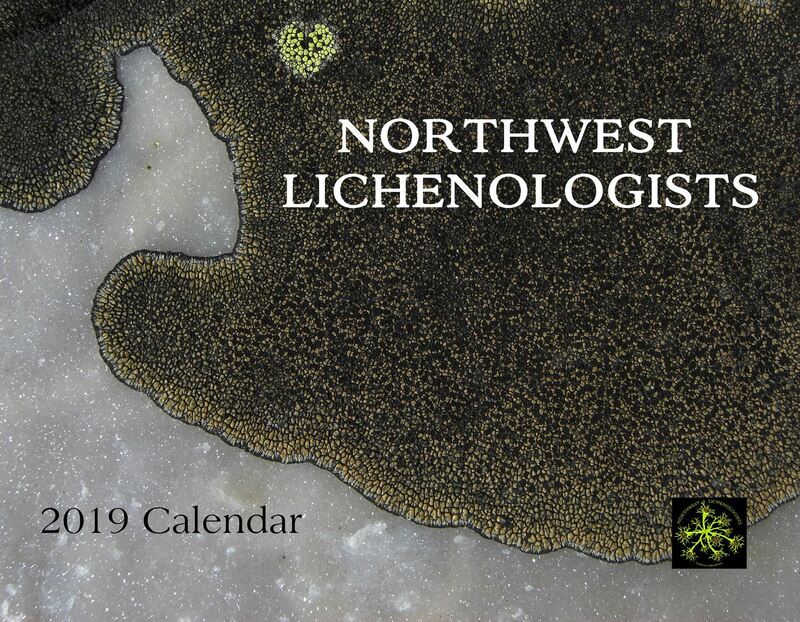 This 11 x 8.5 inch wall calendar, opening to 11 x 17 inches, has one month per page and a photo of a charismatic lichen on the facing page. This is a limited edition, first come first serve. Shipping & handling: within U.S. 1 to 10 calendars ship for $3, flat rate (USD). Shipping & handling outside of U.S. 1 to 10 calendars ship for $35, flat rate (USD).